The Lodging App is available to Elavon merchants to manage their hotel and lodging experience for their customers on the Poynt smart terminal. When you tap on the Lodging App icon, you will land on the Lodging App main screen. By default, the Check-In screen will be your main screen. You will see additional tabs to allow easy access to other main functionality. 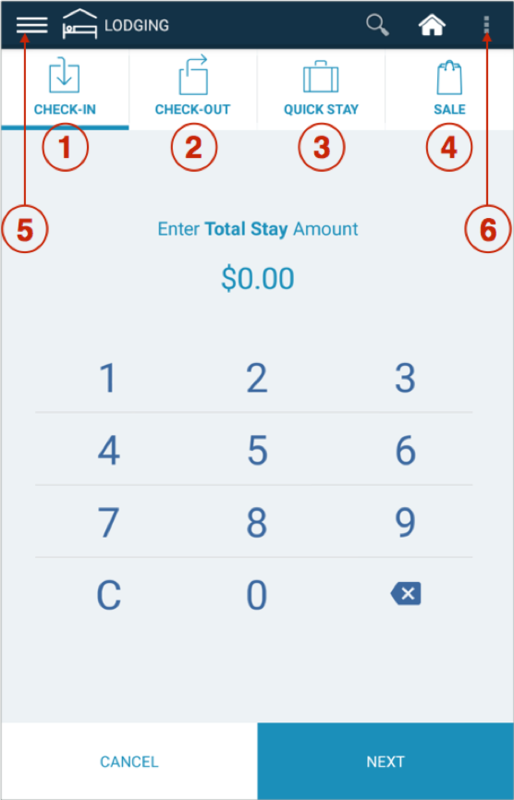 A Quick Stay transaction defaults the check-in date to the current date, allows the clerk to set the check-out date, and then immediately charges the customers card and places the Quick Stay transaction in the current day’s Settlement batch.